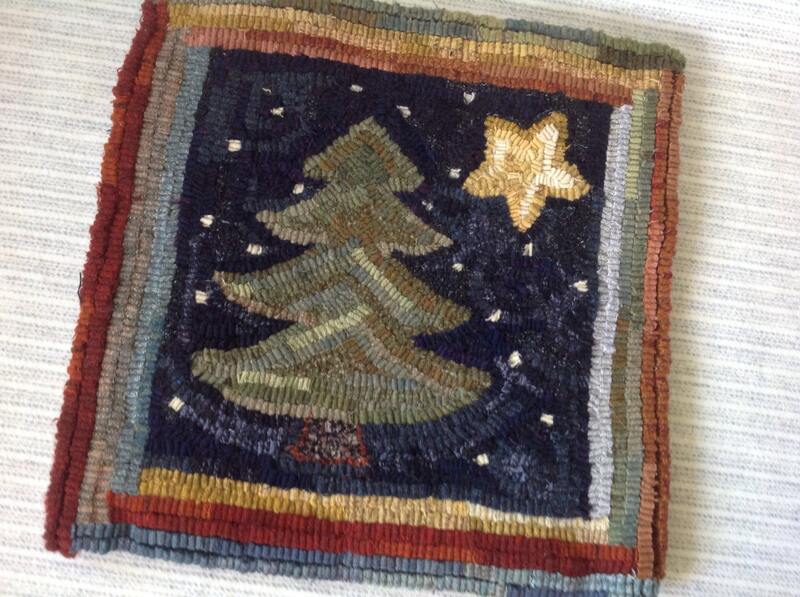 This listing is for the primitive rug hooking pattern "Pine and Star", 14" x 14" on your choice of either cotton monks cloth or primitive linen. A 4" x 6" photo is included with the pattern. This pattern is great for beginning rug hooking and veteran rug hookers alike. It would be a perfect choice to teach someone you know how to hook. If you are new to primitive rug hooking, I recommend that you take a class. No instructions are included. 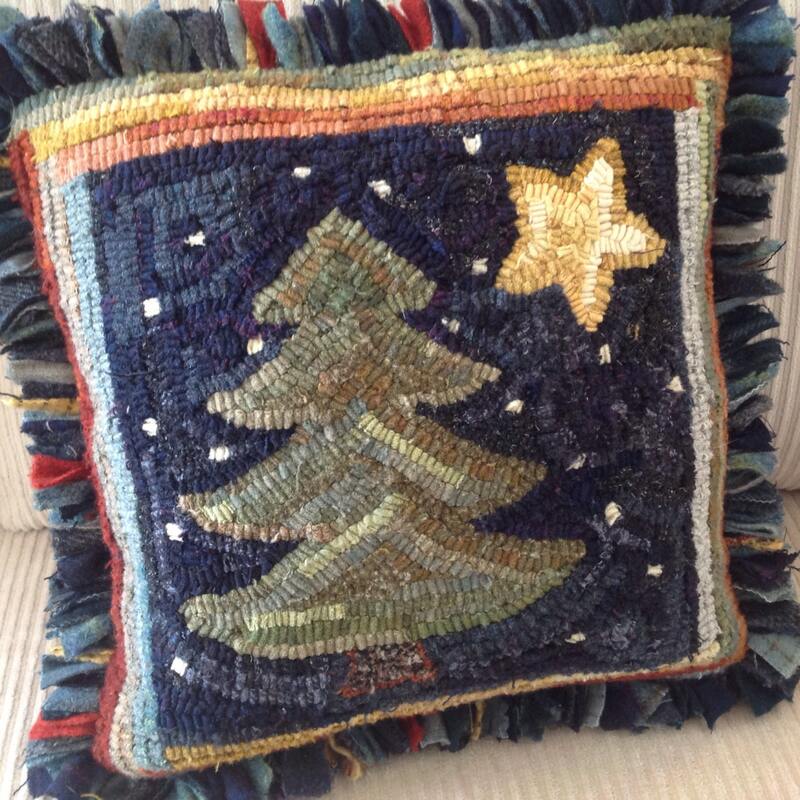 My good friend, Becky hooked this design using dark blues for the background, medium greens for the tree and some yellow leftover strips for the star. As she hooked the background, she added in snowflakes here and there. The border was hooked with leftover noodles from her stash of red, blue, gold and green. She decided to finish her rug into a pillow and added a prodded border using strips of wool from the project. (see 2nd photo). I hand draw the design on the backing fabric making sure to draw all border lines and straight lines on the straight of grain. There are 4" inch allowances on all sides making it large enough to fit on most lap frames or in a 14" hoop. 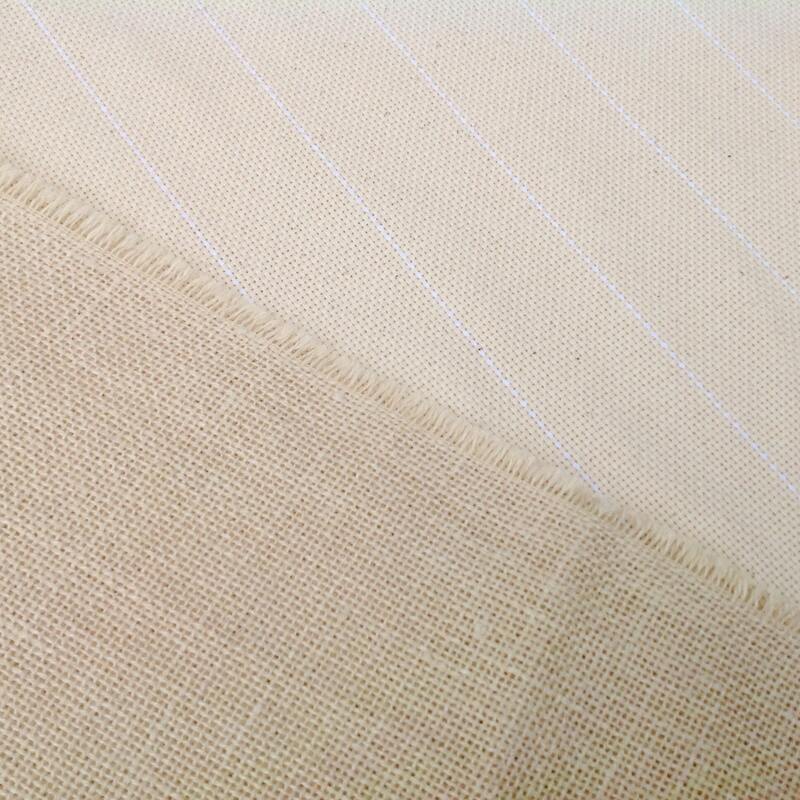 The outside raw edges have been serged to prevent raveling while hooking.